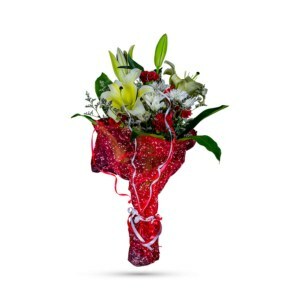 It’s an expressive and refreshing burst of mixed red and white flowers. What better way to show just how someone makes you feel? 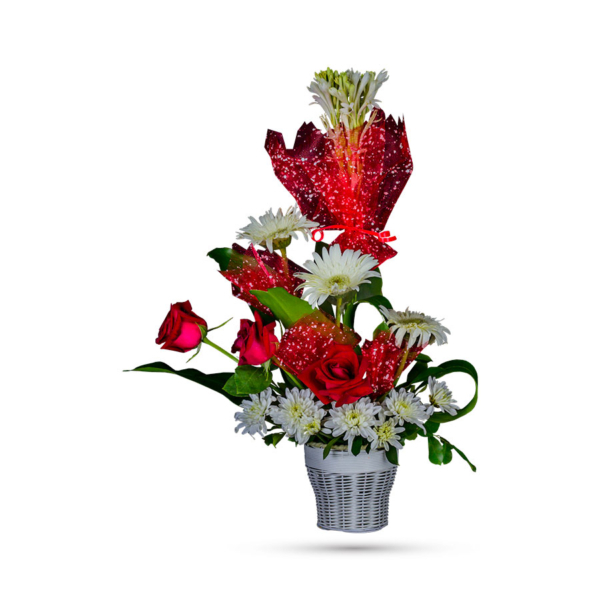 Ring in the spring, celebrate a birthday, or simply show you care with our gorgeously versatile bouquet – Red Velvet. Passionate red Roses and white Chrysanthemums, Gerberas and Rajanigandha accented with seasonal leaves are arranged in a stunning white bamboo vase they'll always treasure. 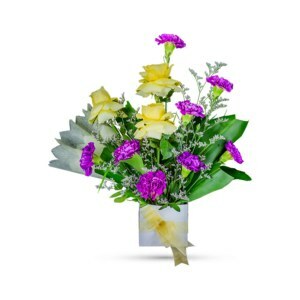 Most importantly, our lovely mix of dreamy flowers will be sure to convey your sincerest wishes and sweetest thoughts. 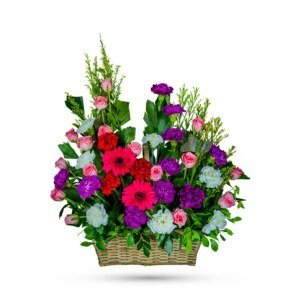 Colour your favorite person with a shower of love and support with this arrangement of fresh flowers on your anniversary, their birthday, to congratulate them, and on several other occasions. 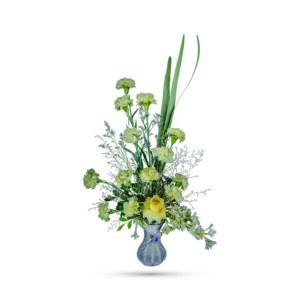 Order it online today and it will be hand-delivered by our professionals. This glorious and romantic bouquet of blossoms will bring back any past memories of enchanting times, and is gracious gift for him or her.